It will take about 20 minutes total, including the time it takes to build pressure. Once the cook time is over, do a gradual quick release by slowly open the valve to release the pressure. You don't want to let it all release at once or it could sputter and foam. I just made this using a few changes and it tastes wonderful! I sautéed the veggies/onions/garlic in coconut oil first, added some smoked paprika and tablespoon of soy sauce for added flavor. Made it vegan using a can of full fat coconut milk instead of cream, and added in three tablespoons of nutritional yeast for a cheesy taste. Thank you so much for the recipe !! Thanks for sharing your swaps! I’m so glad you liked it! Great ideas Mariam! This is my first time trying it so thanks for the suggestions. I’ve got coconut milk and nutritional yeast on hand… can’t wait to try it! Thank you Ashley for the recipe. I appreciate you leaving the added cream and cheese out or on top as garnish. Makes it easier to make it plant based. 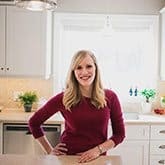 I found your recipe first but like options so bookmarked it and kept looking… the next 5 were not as appealing or easy as yours so I came back to yours! Looks delish and I have all ingredients on hand, including exactly 6 red potatoes! Thanks Jenny! I hope you enjoy it! Can you tell us what the serving size is that you’ve used to calculate the number of servings and the nutrition info? For example, is it 1 cup, or 1-1/2 cups perhaps? Unfortunately I don’t know the exact volume per serving size for this recipe. If you want to calculate it, you could weight the entire batch, then divide by 6. Thanks Linda! I love that note about using a mixer to mash some up! I LOVE this recipe! I tweaked it a bit just based on my limited skill set and limited groceries. I’m not good at thickeners in soups so I used a bag of frozen hasbrowns instead of thickener (also added 1 c additional of chicken broth) and only 1 cup of cubed fresh potatoes. Yummy!! Thank you for this wonderful recipe! Thanks Carrie! I’m so happy to hear that! What size instant pot is the recipe for, 6 quart or 8 quart? I made it in the Lux pot which I think is 5 qt. Made this tonight and added an envelope of ranch powder. Turned out awesome. It’s found a spot in the dinner rotation. Thank you! Oh I love that twist! Thanks for sharing! Love the idea of pureeing some of the soup! So glad you liked it! Great ideas Ella! Did you sauté in Insta Pot or on the stove? I’m cutting back on salt as well so thanks for posting. Also, I have an immersion blender so thought I’d blend it a little in the pot. Can’t wait to try it! I’m prepping my veggies already! This was outstanding. I doubled the recipe and instead adding cornstarch (I don’t like the taste of that or flour) I pureed 2 cups of the soup and then mixed it in- this is the most wonderful trick for thickening soups. I didn’t even add cream and it was the perfect consistency and flavor! Thx for sharing! Love that idea! I’ll have to try it next time! This was amazing! I was skeptical of the only 3 minutes and it took a while to thicken up. But once it did, it was sooo good. I didn’t have any thyme or parsley but added 2 bay leaves. The flavor was excellent. Thanks Carrie! I’m so happy you liked it! This soup was AMAZING!!! Perfect recipe and instructions. Turned out perfectly. YUM! Thanks Jennifer! That makes my day! I’m new to the instant pot… I’m confused by the 3 mins in high pressure then right after it says cook for 20mins… Help?! Can I use russet potatoes instead of red? Yes! Any potatoes you like will work great. I made this tonight! It’s currentky cooking for my husbands ‘late I’m sick and need soup’ dinner – I added corn and leftover ham to make it more of a chowder but I can’t wait to have a bowl for second dinner & lunch tomorrow! It’s one of our favorites! I hope it helps him to feel better! I made this today with 1% Milk and a little more cornstarch. I also added 2 cups of corn niblets at the end (heated beforehand) and 4 cups of chicken broth. I’ll double it next time though. Tastes great! Had anyone tried doubling the recipe with the same 3 minute cook time? This is a fabulous recipe! My husband said next time make more! 😄 I substituted Coconut milk for Evaporated Milk and added just a bit more salt, pepper, onion powder and a tad of garlic powder. It suited our tastebuds just right. Thanks for sharing this! So glad I found it! I’m so glad to hear you liked it! Thanks for the tip about the coconut milk! Oh my this soup is delicious! Perfect for a cold evening. Thank you for a great recipe. We will be having this again! This was delicious! Super creamy, thick and flavorful, as well as very easy to make. I’ll be making this again in the future for sure. What can I substitute for milk and cream to make it non dairy? You could use any non dairy milk that you think would work well or you can skip the milk altogether. I don’t have a lot of experience with non dairy milks so I’m not sure which one would work best! I used almond milk. It works just like regular milk. This turned out great! My boyfriend is vegetarian, so instead of bacon I added 1/2 tsp of Smoked Paprika and it was delicious. Thanks for that tip! I’m so happy to hear you liked it! Just to be sure…celery stalk is it one rib (stick), or the whole head? You’re right– one rib! I have update the recipe. Thanks for letting me know the error! Thanks Ashley, looking forward in trying this recipe. This is so good, it tastes like soup you would get at a girl’s lunch tea room.. Don’t change a thing, this recipe is perfect! Yay! I’m so happy to hear that Daisy! Thanks Mary! I’m so happy it turned out well for you! Ashley. I have made this several more times and tweaked it here and there. 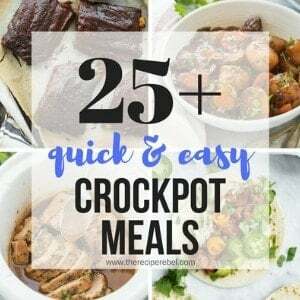 Such an easy recipe that anyone that I know who has an Instant Pot and hasn’t used it yet, I send them a link to your site…especially this recipe. So good when it is cold and damp. Thank you so much Mary! I’m so glad you like it! Made this today! A cold front blew in and so of course it brought with it the craving for soup. Using what I had in the fridge I began looking for a good, quick recipe and I came across this amazing recipe! Definitely a keeper! Thanks for sharing! Thanks Elizabeth! I’m so happy to hear you liked it! 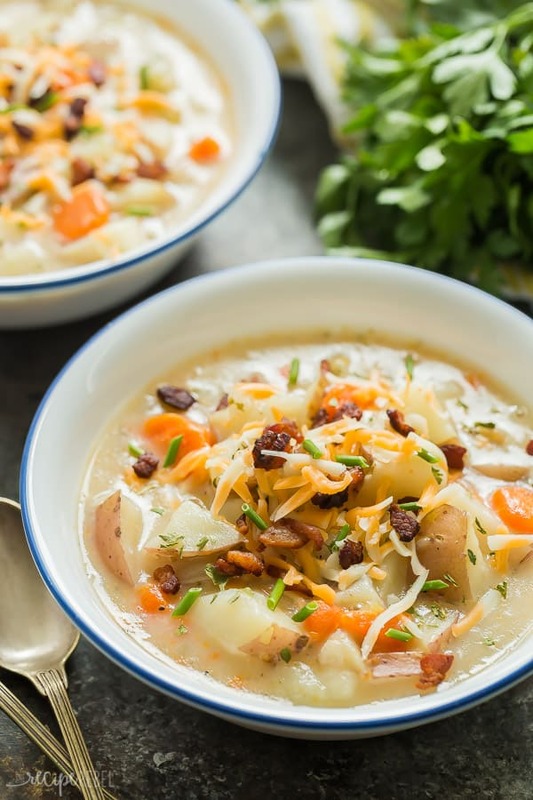 Sooo creamy and flavorful, potato soup perfection! 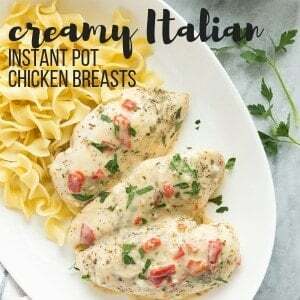 I am obsessed with the ease of the Instant Pot. This one looks so good. Soup season is my favorite. Thank you. Yes definitely! You would cook it in much the same order, and I would add the dairy at the end. I am a huge fan of IP soups! This is perfect for this cold fall day! Potato soup is one of my favorites, but I’ve never made it in the Instant Pot. I love the idea of using red potatoes, because you can leave the skins on. I can’t wait to give this recipe a try! I never peel my potatoes! I’m way too lazy. Lol. Thanks Kara! Generally potato soups aren’t the best for freezing, this one especially because I use lower fat milk. Cream freezes better than milk, so you could try that but it’s generally not a soup that freezes well. Can I use yukon potatoes or gold in place of red? Also, can the evaporated milk be replaced with regular milk? Never tried evaporated milk, not even sure how it tastes 🙂 . 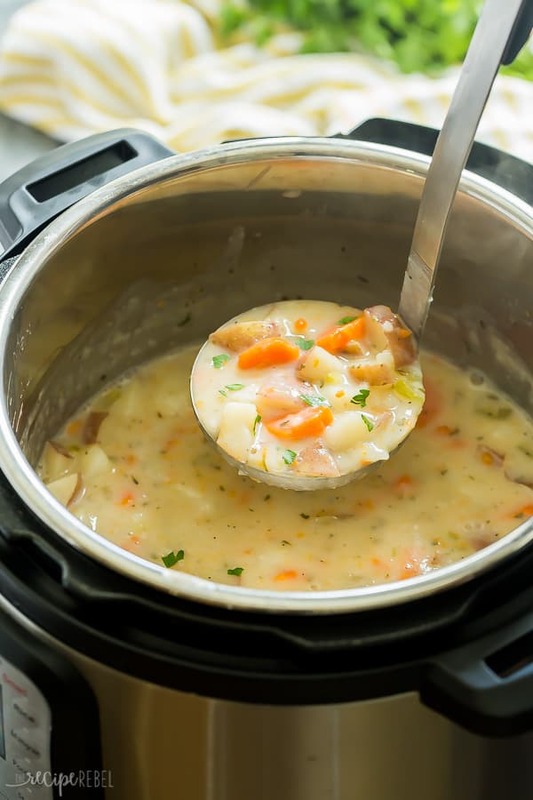 Can your instant pot (soup) recipes be converted to crock pot recipes? 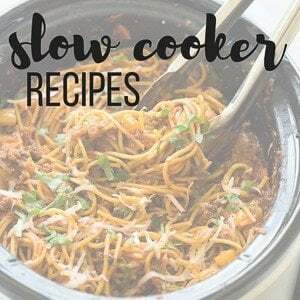 If so, does it depend on the recipe or across the board on how to cook a particular recipe in a crock pot. How would I make this one in the crock pot. Most of them can and don’t require much reworking at all! For this one, I would use the same method (leave the cream and thickening agent out until the end), and cook on low until the veggies are tender (maybe 6-8 hours). I hope that helps! I am also a huge soup lover! It’s one of my favorite things ever, but I’m totally with you on the potatoes too. 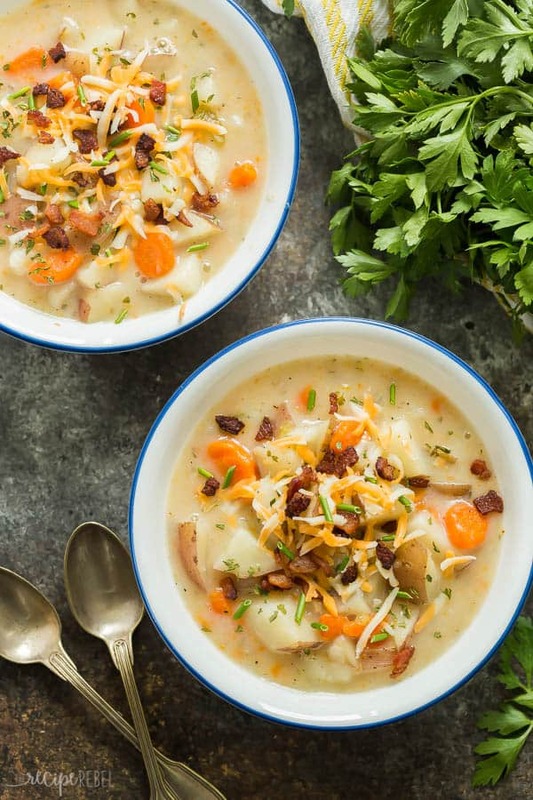 Looove potato soup – this is a great recipe!